iderdider....: for her wedding slide show. 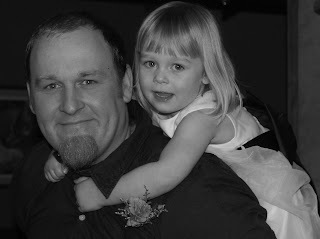 Clairegirl, you are so lucky to have a daddy like this guy. I know that weddings are all about the bride, but for us, it was all about the flower girl. Love you, Girlie. They both look very nice!